Maria Faires’ Oven Baked Shrimp This easy to prepare recipe makes shrimp that can be used as a main entrée, to top a salad or as an appetizer. In a medium glass bowl, stir together the olive oil, salt, garlic, and black pepper. Season with crushed red pepper and or Italian Seasoning, if desired. Add shrimp, and toss to coat. Cover and refrigerator for 30 minutes or up to 3 hours. Add lemon to marinade and shrimp, stir. Pour shrimp onto baking sheet and evenly distribute. Place in oven and bake about 7-8 minutes or until opaque. Do not overcook. To serve as an appetizer, place a toothpick or party appetizer frill in each and place on a plate. These make-ahead appetizer skewers are so delicious and impressive. 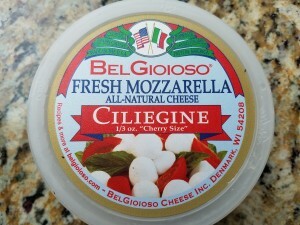 If you’d like to make a composed Caprese Salad instead, go here for the recipe. Approach the tomato from the round (not cut side) and thread 1 tomato half, 1 piece of cheese, and another tomato half (approaching from the cut half) onto each skewer. 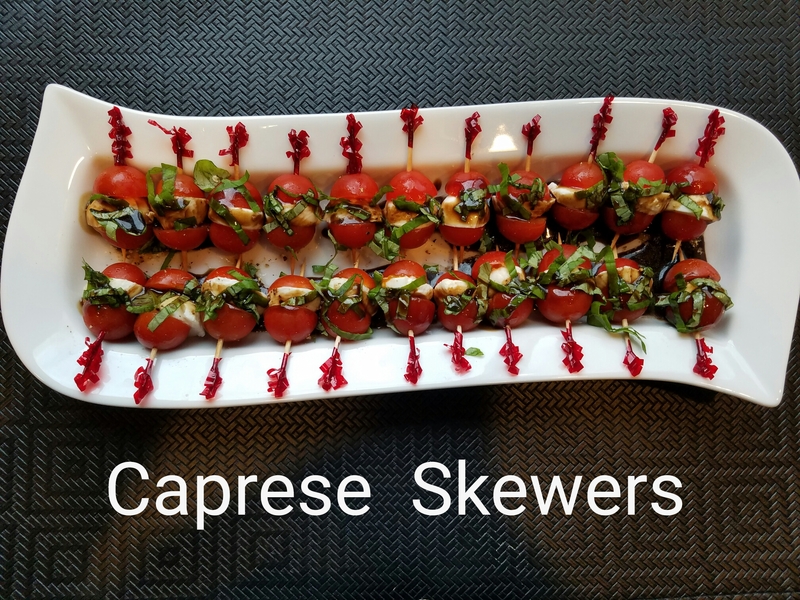 Place skewers in a shallow serving dish. These can be covered and refrigerated until ready to serve. Mix together olive oil, balsamic vinegar and ¼ tsp kosher salt. Refrigerate until ready to serve. 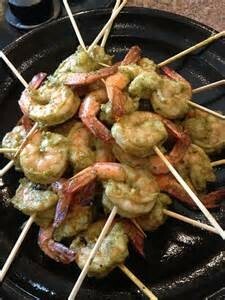 When ready to serve, drizzle oil and vinegar dressing over the skewers; sprinkle with basil and salt and pepper to taste.